Last weekend when Miss Mendi and I went to Shreveport to visit with my grandparents we had the pleasure of a little house tour. I don’t know why I’m using the word ‘little’, this place is somewhere around, plus or minus 13,500sq/ft. It’s still under construction and is being built on the golf course where my grandparents live (and where this show is filmed). Anyway, as we walked in, I stopped dead in my tracks at the dining room. 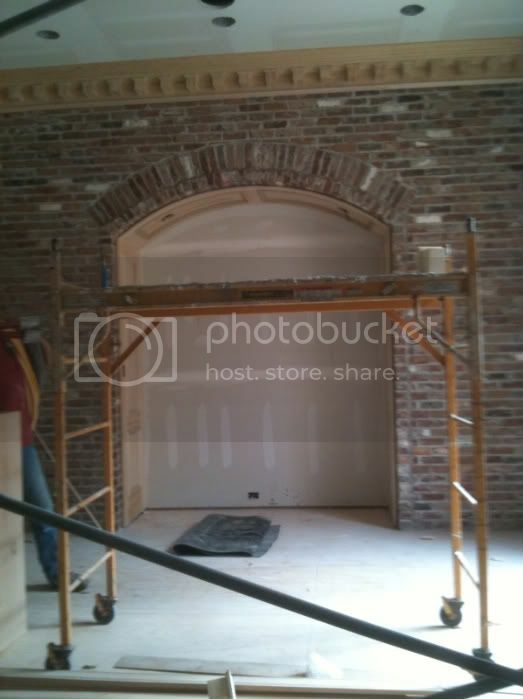 This huge exposed brick wall was seen right from the entry way. I LOVED it. I’ve always had a thing for exposed brick. 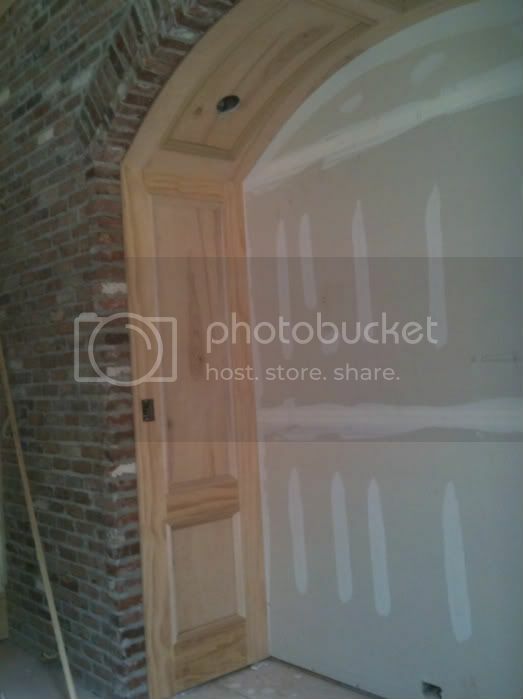 I loved the little carved out nook, perfect for a buffet to sit in, and perhaps a mirror & sconces to fit inside…and that woodwork, don’t even get me started. Gorgeous. Most dining rooms are so over the top formal, I loved the casualness and warmth this brick brings. One thing I will mention, what makes this brick so spectacular is that it’s OLD. And you can tell 100%. That is what makes this wall, and the use of brick, so successful. Some of the bricks were even stamped with locations and places they had come from like Birmingham. Anyway, this is such a great idea. I’m making a mental note of if I ever build, or do a major remodel.